Carefully remove all pin-bones from the salmon filet. (I like to cut off the thin side of the salmon filet and use that for another dish - perhaps soup - on the following day. I think the thick part of the filet looks much more festive, plus you it's easier to cook the fish uniformly). Cut the fish filet into thick portions (this helps to serve the fish nicely later), but leave the skin intact. 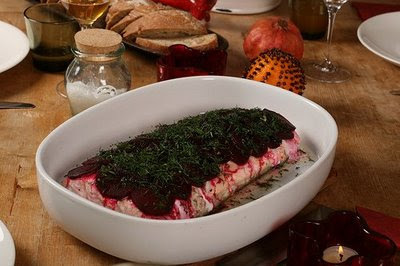 Place in an oiled oven dish. Season with salt and pepper and scatter lots of chopped dill on top. Peel the beets and cut into thin slices. Using a small shot glass, cut the slices into uniformly sized small rounds. Layer these like fish scales on top of the salmon. Drizzle with olive oil. If you like dill, then you can scatter more dill on top at this stage. Cover the oven dish with a piece of foil and bake in a pre-heated 200 C / 400 F oven for 20-30 minutes, depending on the thickness of the fish and desired level of pinkness. 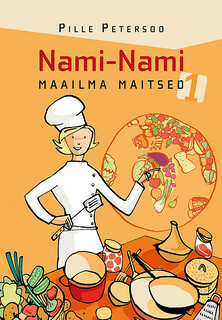 Serve with steamed couscous or boiled potatoes. Looks amazing!!! Wonderful combination of flavors, especially for Xmas. Oh my god! This salmon-dish looks amazing! I have to suggest it to my parents for christmas! Thanks for the recipe! 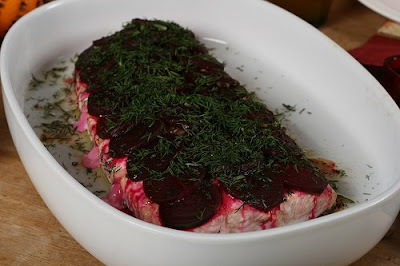 Oh, this is fabulous.I would have never thought of beet and salmon.Divine. this would be perfect for this round of Waiter, there's something in my roast... can I add it to the round-up? You know me well, I don't like beetroot, but would you believe that I recently ate a starter of beetroot salad at a friend's house and actually enjoyed it? the beetroot was baked, not cooked, and that seems to make a world of a difference!!! 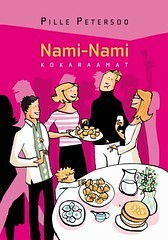 mmm... näeb taevalik välja. Ma ise ei oleks vist küll selle peale tulnud, et armastatud peeti koos lõhega proovida, aga sinu roog näeb väga inspireeriv välja. I love salmon, and I love beets. How is it that I've never thought to put the two together? A very interesting pairing of flavors here!! I love beetroot and I LOVE salmon, but have never had them together!!! Interesting idea. 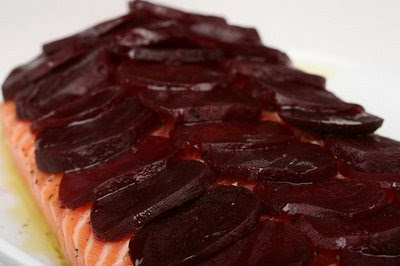 I too love both beets and salmon, but have never even considered them together.